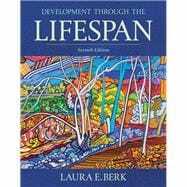 Laura E. Berk is a distinguished professor of psychology at Illinois State University, where she has taught child, adolescent, and lifespan development for more than three decades. She received her bachelor’s degree in psychology from the University of California, Berkeley, and her master’s and doctoral degrees in child development and educational psychology from the University of Chicago. She has been a visiting scholar at Cornell University, UCLA, Stanford University, and the University of South Australia. Berk has published widely on the effects of school environments on children’s development, the development of private speech, and the role of make-believe play in development. Her empirical studies have attracted the attention of the general public, leading to contributions to Psychology Today and Scientific American. She has also been featured on National Public Radio’s Morning Edition and in Parents Magazine, Wondertime, and Reader’s Digest. Berk has served as a research editor of Young Children, a consulting editor for Early Childhood Research Quarterly, and an associate editor of the Journal of Cognitive Education and Psychology. She is a frequent contributor to edited volumes, having written the article on social development for The Child: An Encyclopedic Companion and the article on Vygotsky for The Encyclopedia of Cognitive Science. She is coauthor of the chapter on make-believe play and self-regulation in the Sage Handbook of Play in Early Childhood and the chapter on psychologists writing textbooks in Career Paths in Psychology: Where Your Degree Can Take You, published by the American Psychological Association. Berk’s books include Private Speech: From Social Interaction to Self-Regulation; Scaffolding Children’s Learning: Vygotsky and Early Childhood Education; Landscapes of Development: An Anthology of Readings; and A Mandate for Playful Learning in Preschool: Presenting the Evidence. In addition to Development Through the Lifespan, she is author of the best-selling texts Child Development and Infants, Children, and Adolescents, published by Pearson. Her book for parents and teachers is Awakening Children’s Minds: How Parents and Teachers Can Make a Difference. Berk is active in work for children’s causes. She serves on the governing boards of the Illinois Network of Child Care Resource and Referral Agencies and of Artolution, an organization devoted to engaging children, youths, and their families in collaborative public art projects around the world as a means of promoting conflict-resolution, relief from trauma, and resilience. Berk has been designated a YWCA Woman of Distinction for service in education. She is a fellow of the American Psychological Association, Division 7: Developmental Psychology.